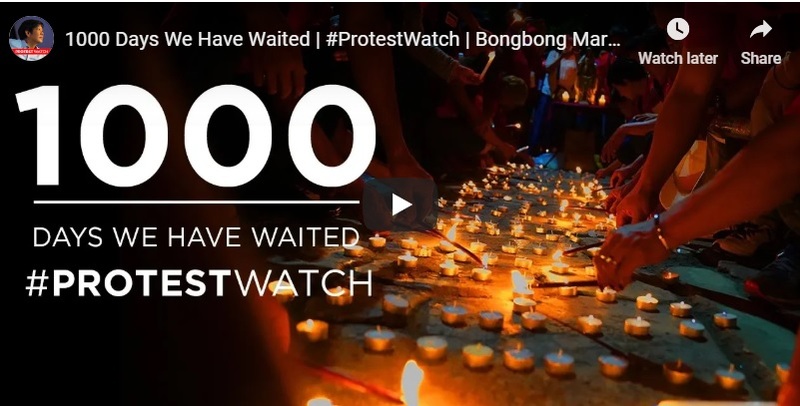 It is a known prediction that Bongbong Marcos’ filing of election protest before the Presidential Electoral Tribunal will face sympathetic favor. Testimonies of massive cheatings manifest in Senate hearings. Many clean electoral advocates support that he is indeed the rightful Vice President of the Philippines. The temporary VP Leni Robredo would have to step down eventually. In fact, no one can stop senatorial candidate, Atty. Glenn Chong explains in his fight against the cheaters that coincides with the missing votes of Marcos during the last election in 2016. The Comelec can only discredit him that he is lawyering for Marcos. However, only people who pretend to be deaf can’t understand the logic of his explanation. It’s now in the hand of the Supreme Court. Bongbong Marcos finds a good season for announcing the latest electoral protest update during the Chinese New Year. He explains that there are 3 reasons for the legal action. These causes of action are 1) The digital system is questionable because of the anomalies undertaken by Smartmatic. 2) there were no elections in some precincts in ARMM. 3) there were other places that had some irregularities that should be considered rather than refer to the automated images. Smartmatic decrypts 26 SD cards where 13 of them have folders that contain data in them. It is very unlikely why some of the 120 SD cards have data in them when they come from unused VCMs kits. This supports the Marcos camp’s protest that SC preserves the VCMs until the election protest finishes because they are vital in the protest. This is just actually the initial step of the fraudulent activities. The mere fact that the images are not faithful reproductions of the original is already indisputable. Then comes the early transmissions of results even before the elections. In the Senate hearing back on July 21, 2018, Senator Franklin Drilon kept on linking Atty. Glenn Chong to Bongbong Marcos to stop him from making comments on BBM’s protest. The basis of Senator Drilon’s questions was a letter from BBM’s lawyer, Atty. George Garcia. This letter, dated March 15 was passed to Drilon by one of Robredo’s lawyers. Stated in the letter was that BBM was assigning Glenn Chong to some activities in Sta. Rosa Laguna. As such, the camp of the presumptive Vice President Leni Robredo is asking the Supreme Court to investigate Chong. In any angle, it is certain that Robredo wants to identify Chong as BBM’s lawyer to shut him off under the PET’s gag order. The young lawyer retaliates by making sure to respond to Robredo’s plea on time. This is with all his evidence proving the alleged lies of the presumptive VP. He also lashes on her lawyer, Atty. Romulo Macalintal who is also running for Senator under the Liberal Party. Atty. Glenn Chong, one of the hottest faces to run for a Senate seat this 2019 election explains during an interview his affiliations with Bongbong Marcos. It happens that he asks Atty. George Garcia to include his name in the list of attorneys for Marcos’ defense team to prove a technical anomaly of Smartmatic. However, he never shows up during interpolations to protect Marcos. Therefore, he insists that he is not one of his electoral protest lawyers against the presumptive Vice President, Leni Robredo. Currently, both Chong and Gov. Imee Marcos, Bongbong Marcos’ elder sister are sometimes seen together during their campaign sorties.